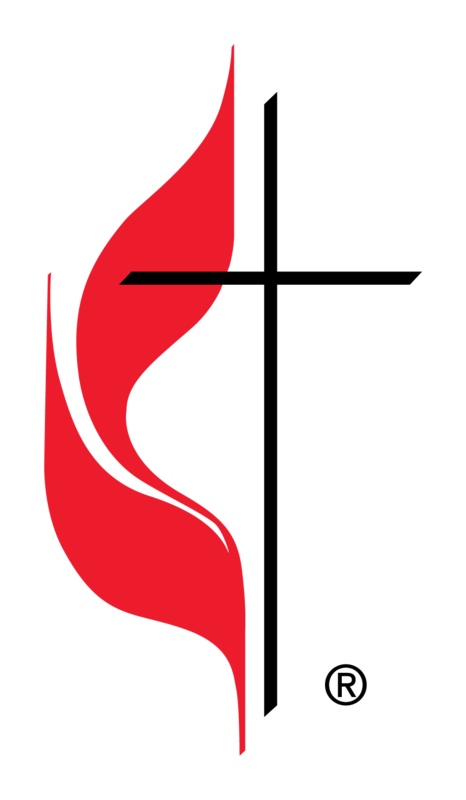 Music plays an important part in the life of Calvary United Methodist Church. There are, at present, five singing choirs and two handbell choirs of all ages actively involved in leading worship. These choirs participate in both Sunday morning worship services as well as special holiday services and community activities. Previous musical experience is not mandatory to join any of the choirs, just a commitment to serve God through the gift of music! We would like to invite any and all to find the choir(s) that interest you and become involved in the music ministry of Calvary! Calvary United Methodist Church also has an active Concert Series program. Click HERE to find out the most current schedule. Calvary has two adult choirs, the Cathedral Choir and the Gospel Choir. In the above picture, the two choirs have joined for a special worship service. Cathedral Choir is one of two adult choirs at Calvary. The Cathedral Choir sings many different styles of music ranging from classical to contemporary. 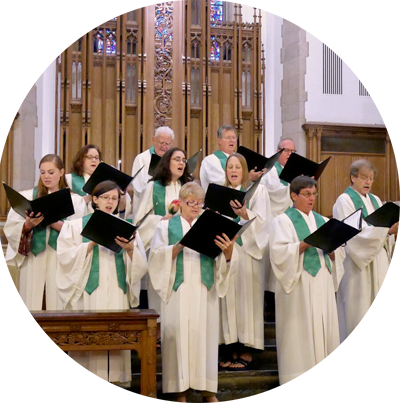 The choir invites anyone who enjoys music to join them in the choir room for their rehearsals on TUESDAY evenings from 7:30 to 9:00 p.m. Cathedral Choir sings most Sundays as well as special Lenten and Christmas services. Gospel Choir membership is open to adults 18 years and older who love to sing. The group sings contemporary Christian music as well as arrangements of hymns and gospel songs. Gospel choir helps lead worship at one of the Sunday morning services September through June, as well as other “Special” services. Rehearsals are held on TUESDAYS from 7:30 – 9:00 p.m. in the choir room. The Genesis Choir was started in 1992 in order to offer music to the younger children of the church. Its members are age 4 through 1st grade. They meet from 12:30 to 1:00pm on Sunday afternoons. Their time is spent learning to praise God through music and movement! It is truly a joy when this group participates in Sunday Worship. The Sonshine Choir is the choir for children from 2nd through 5th grade. This choir sings approximately once a month in worship services from September through June. They are also encouraged to participate in outreach efforts such as singing at Homewood. They meet from 1:00 to 1:30pm on Sunday afternoons. For 2nd through 5th graders, these children learn the art of handbell ringing on a 2 octave set of Malmark Handbells. Beth Waskey generously volunteers her time to direct this choir. They are conveniently timed to rehearse at 12:30 – 1:00pm on Sundays, while the younger ones are singing. Voices of Praise, the Calvary UMC youth choir, is a wonderful opportunity for the youth of Calvary to help lead worship on a regular basis. Voices of Praise is part of the regular choir rotation, and sings as scheduled throughout the program year at both traditional worship services. In addition, Voices of Praise often participates in special events as invited. During the program year, Voices of Praise rehearses each Sunday at 4:30 pm, immediately preceding youth group. The Joyful Noise Ringers is an adult handbell group. They practice on TUESDAY evenings from 7:00 – 8:00 p.m. The bell choir participates in Sunday worship services and other special events. No previous handbell experience is necessary. The ringers are shown here as part of a mass handbell choir assembled for Frederick’s annual Bell and History Days celebration. Bells for Jesus is a handbell choir for 4th and 5th graders who wish to learn how to play handbells and share in worship services at Calvary. Under the direction of Beth Waskey, they are also introduced to the use of hand chimes. This choir rehearses on Sunday afternoons from 12:30 to 1:00pm. With much gratitude to the generosity of many people, a set of eight full circle peal bells cast by John Taylor Bellfounder of Leicestershire, England was installed in 2004. Calvary’s peal bells are a part of Frederick’s unique standing as possibly the only place in the world where all three Western bell instruments are within hearing distance of each other, along with the Carillon at Baker Park and the Chime Set at Trinity Chapel. In 2006, in commemoration of the 20th anniversary of the Tour of Historic Houses of Worship, all three sets of bells were rung at once. In addition to Calvary’s peal bell ringers, ringers from around the area occasionally gather at Calvary for peal attempts. For more information please contact our office.